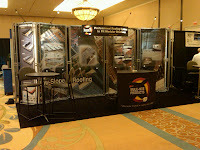 The 2012 World of Modular Show was held in Orlando, FL this past weekend - Saturday 3/24 through 3/27. Barrier's product (that we toll manufacture for Mule-Hide Building Products, the FR Deck Panel was a main focus at two booths at the show. 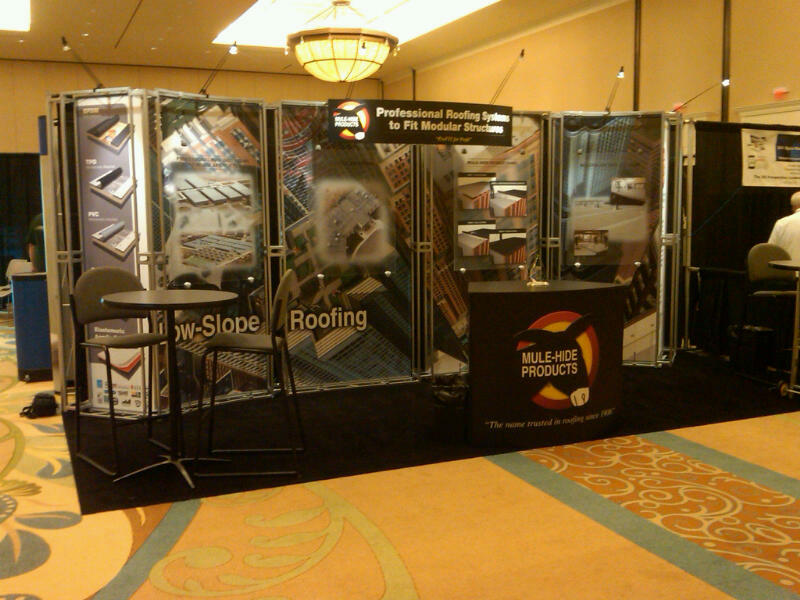 Here are pictures of the Mule-Hide Products (our partner for the FR Deck Panel) and ABC Supply (distributor of the FR Deck Panel) booths. 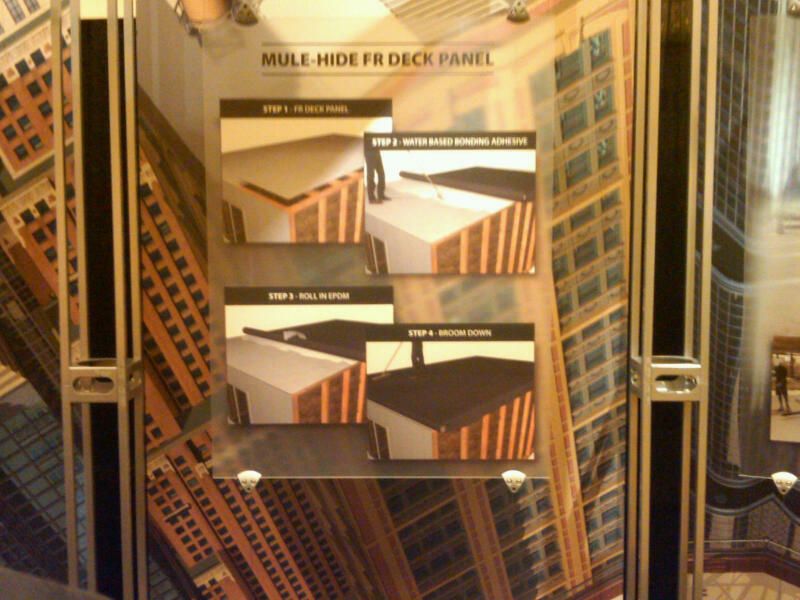 Mule-Hide created a new center panel for their booth - featuring the FR Deck Panel and the four step process vs. five steps with other applications. 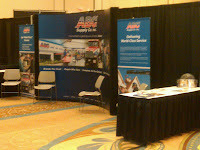 The Commercial Modular Industry is serviced by a small network of industry leaders. 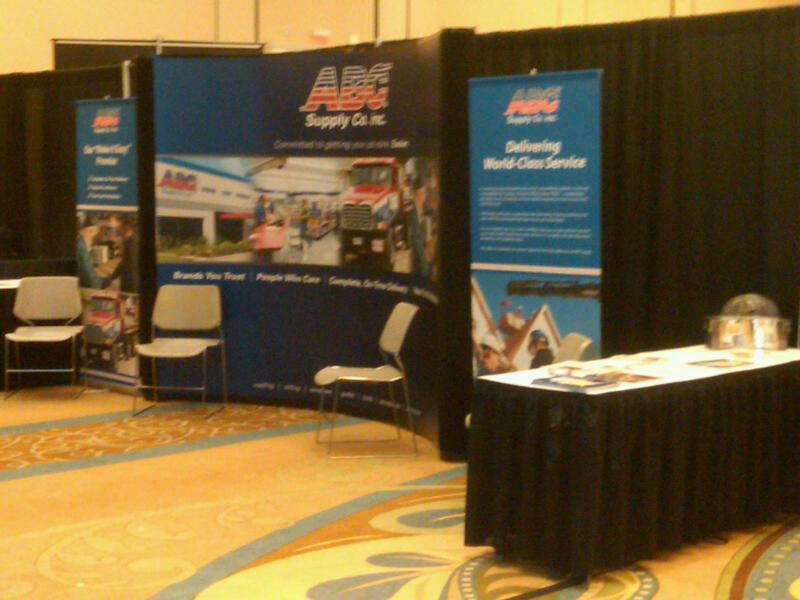 The annual World of Modular show is well attended by the key decision makers of those leading companies. It is an opportunity to renew face to face relationships, discuss upcoming projects and overall building forecasts. This year, there were about 500 attendees from 12 countries. 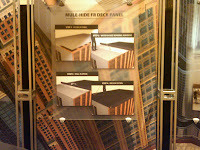 Mule-Hide Products was a diamond level sponsor of the show, so their products, including the FR Deck Panel, were well represented throughout the exhibit hall - including literature, give-away items, samples and exhibit space. Barrier is looking forward to 2012, continued partnership with Mule-Hide Products, and future success as the building industry continues on a slow recovery path. Barrier just released February 2012 sales results...February monthly shipments were the second highest monthly shipment in Barrier’s history and the highest since the 1,080,400 sq. ft. that shipped in September 2007. Total shipments for the month of February 2012 were 918,600 sq. ft. an 88% increase over the 488,500 sq. ft. shipped in February 2011. Growth into the Residential Roof Deck/Wall Assembly/Structural Insulated Panel Markets continue to grow at significant rates.